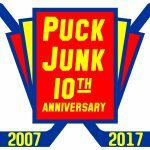 Wow, I must have had like ten other things on my mind if I just now realized that PuckJunk.com has reached its first anniversary. I launched this site on October 5, 2007, although it had been an idea I wanted to do since late 2006. Once I decided to quit my 40-hour a week job as a web designer to concentrate on teaching and freelance, the abundance of free time allowed me to develop, launch and maintain this site. 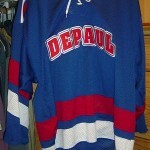 But while my passion for all things hockey has not diminished, my free time has. While I was able to crank out 35 assorted articles from October to December 2007 (plus random blog posts), my output from January to September has been less than that–only 32 “real” articles as of this writing…though I do seem to be doing a lot of random blog posts about hockey stuff more so than last year. A few things have gone down that have taken up a lot of my free time. I started dating this girl named Shellie in January, and things have worked out well–so well, that we are now living together. No complaints from her about my collecting habits, here, as she has hobbies of her own. Plus, I’m starting to get her “into” hockey. Another thing that I have mentioned is that I started Graduate School. That is also eating up a good portion of my “free time”. As much as I love writing about old sets of cards, the idea of getting straight As in Grad School right now is a bit more appealing to me. Not only am I going back to college, but I am also writing for the school’s paper. So, while I don’t always write on this site as much as I’d like to, it is always on my mind. 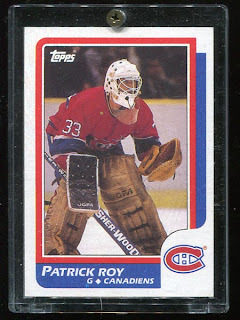 Hopefully, with the hockey season now upon us, I’ll be able to get some new reviews up soon. And thanks for your help and contributions. 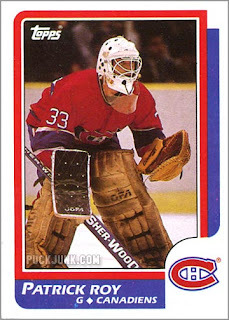 I still have to post the pictures you sent of that Panini Photo Cards Album. Previous Previous post: Best $2 purchase ever! Next Next post: Ubber Deck?